The James Bond film franchise reached $1 billion in the international box office with the latest film “Skyfall” at the end of 2012. Much like the previous films, Mr. 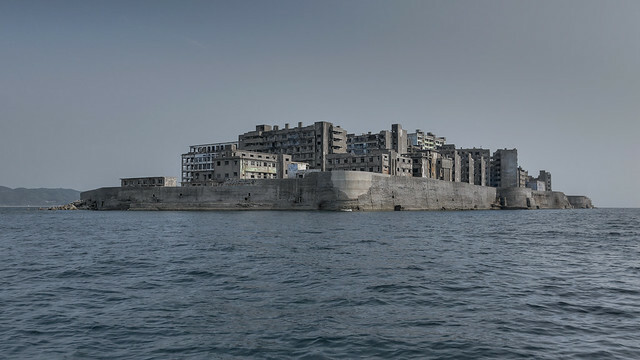 Bond outwits foes in an array of eye-catching shooting locations, and one particular Japanese island stands out for its shabby condition: Hashima Island (端島; meaning “Border Island”). 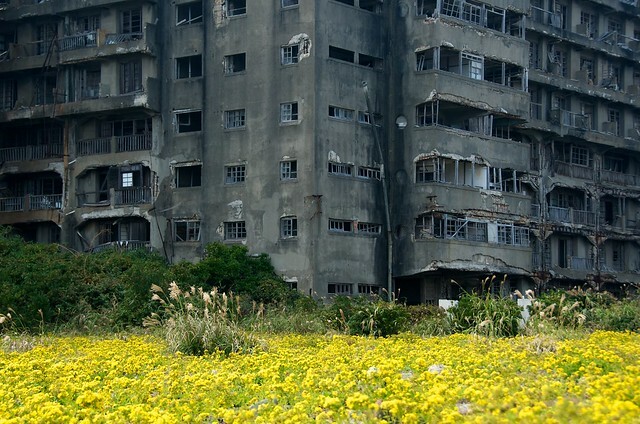 The gem of urban exploration also goes by other names, including Gunkanjima (Battleship Island in Japanese) and Ghost Island. According to Wikipedia, coal mining was the basis of its industrialization that began in the late 1800s. But Japan’s energy demand switched to petroleum, resulting in the eventual abandonment of the concrete-packed island in 1974. 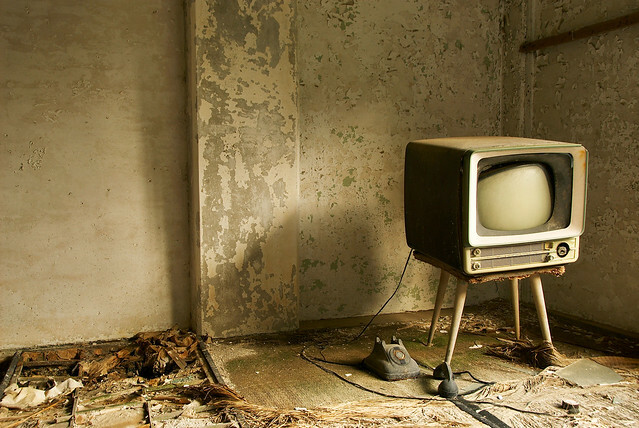 Explore more of the ruins from this location at these Flickr destinations: Battleship Island gallery | Battleship Island:軍艦島 group | Hashima Island on Places: Nagasaki Prefecture. Photos from Stefan the Cameraman (aka “Skyfall” visual effects photographer), picturenarrative, Chris Luckhardt,klOrklOr, and OrigamiKid.